Please donate gently used or new children’s clothing, sizes 5 through young adult, to be sent to the orphanage at Place of Hope in Haiti. Place clothing bags in the large box in the Grand Hallway. You can serve international missions and never leave Naples. HOW? 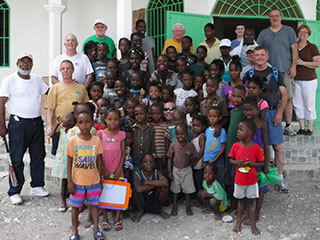 By helping to pack clothing to be sent to Place of Hope in Haiti (orphanage). Please join us for all or part of that time. Questions? Contact Sharon Sabo, 239-248-0633 or sharon.sabo@comcast.net.